Wanting to reconnect with the outdoors after decades of living in Manhattan, a couple nearing retirement asked New York-based architecture firm Resolution: 4 Architecture to design a contemporary home in the northern suburbs of New York City that would take full advantage of a waterfront site. 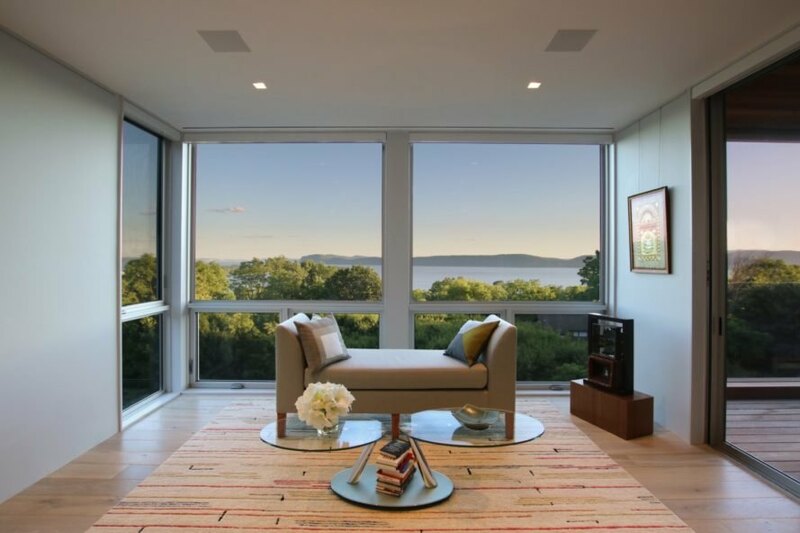 Located on one of Croton-on-Hudson’s highest overlooks, the resulting design features an elevated profile that appears to float above the trees and boasts panoramic views of the Hudson River through walls of glass. 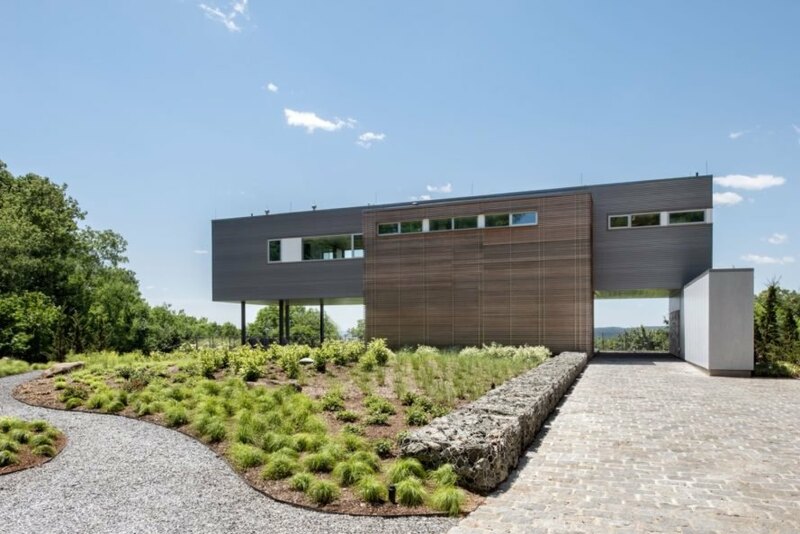 The home — dubbed the Hudson River House — was also built for longevity as noted by the materials selected for durability, solar rooftop panels for self-sufficiency and the elevator for comfortable aging-in-place. 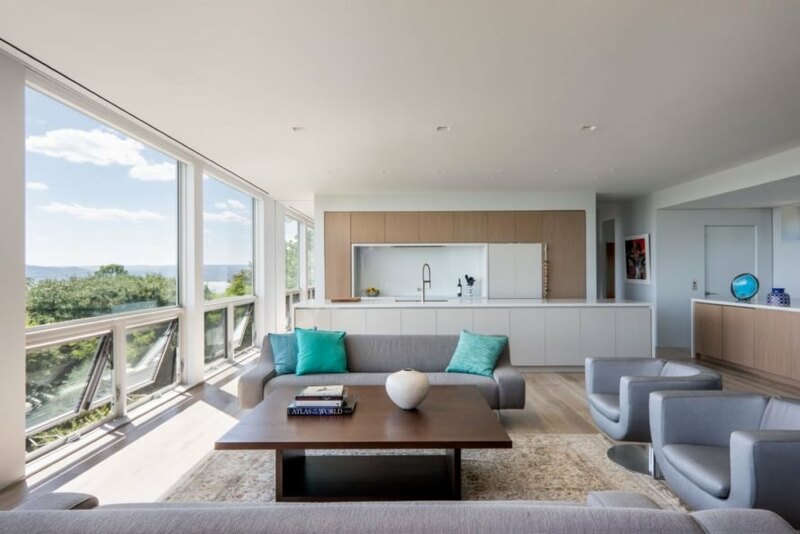 Spread out across 2,374 square feet, the Hudson River House comprises two floors and a basement. The main entry is accessed from the ground floor, which consists of a spacious outdoor pool and deck sheltered by the upper floor, a carport with an entry patio and a small indoor area housing a powder room as well as an elevator and stairs. The primary living and sleeping quarters are placed on the upper floor, with the master bedroom and guest bedroom bookending the centrally located open-plan living room, dining area and kitchen. An office and deck are also located on the main level. To maximize space while keeping a compact footprint, the interior follows an open-plan layout so as not to disrupt sight lines. Full-height glazing lends the interior a sense of spaciousness as well. 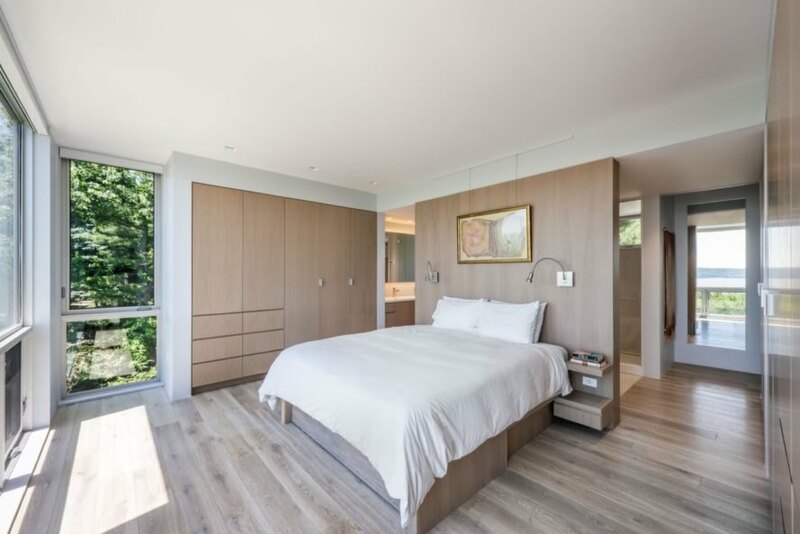 Transforming furniture, such as the Murphy bed in the guest room, gives the homeowners added flexibility. 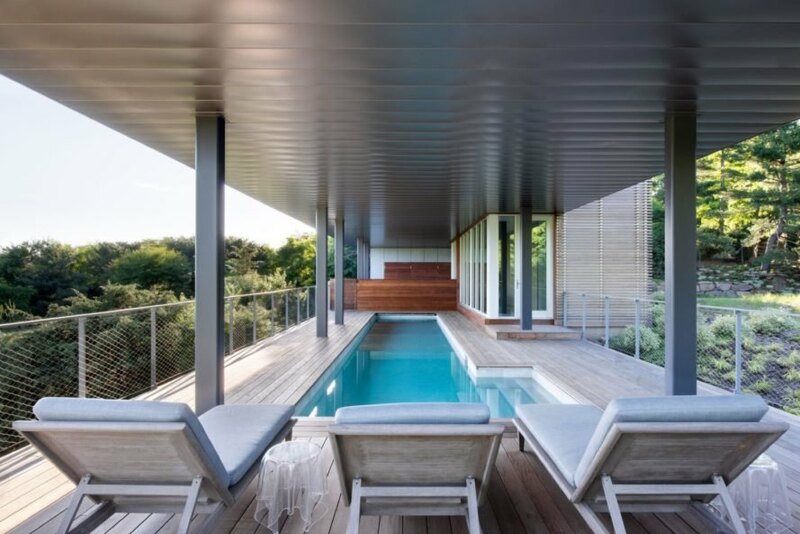 The Hudson River House features a mostly natural materials palette that includes untreated ipe and metal paneling for the exterior. Inside, white oak and light-colored surfaces create a muted backdrop for the homeowner’s pottery and art collection and the stunning outdoor vistas. The energy footprint of the home is reduced thanks to the optimization of cross ventilation as well as the solar panels installed across the entire roof. Resolution: 4 Architecture designed this home for a couple wanting to reconnect with nature. 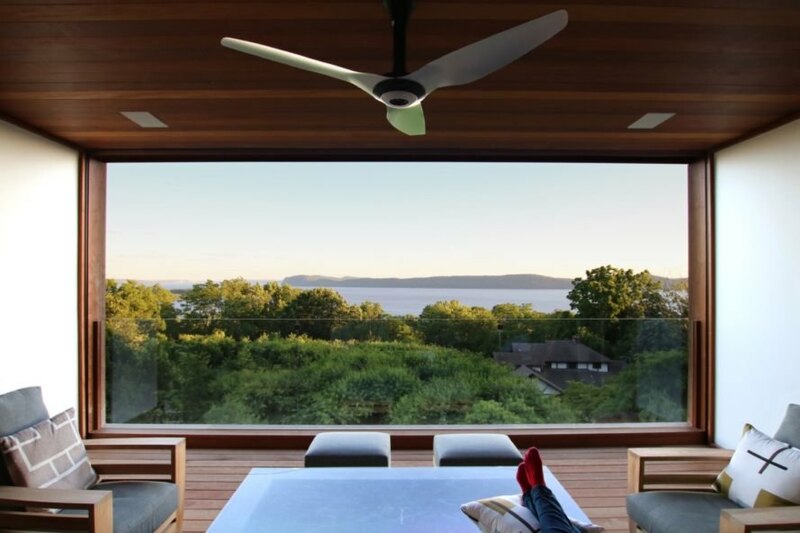 The home is located just outside of NYC in Croton-on-Hudson. The home takes advantage of its location near the Hudson River with many glass walls. A muted color palette offers a simple backdrop for the owners' art collection. 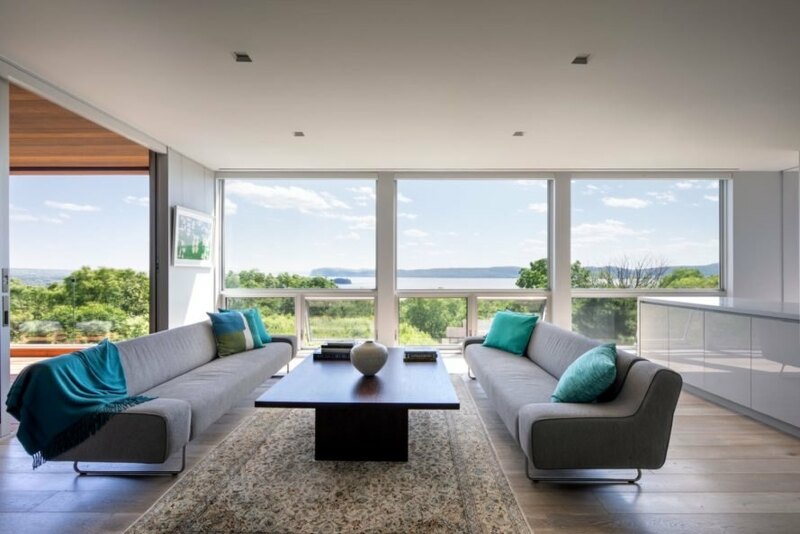 Many rooms offer serene views of the Hudson River. The home is designed to allow the residents to age in place. Natural materials are emphasized throughout. The design avoids disrupting sight lines. A covered outdoor terrace maximizes indoor-outdoor living. In warmer months, the swimming pool will allow the owners to cool off. 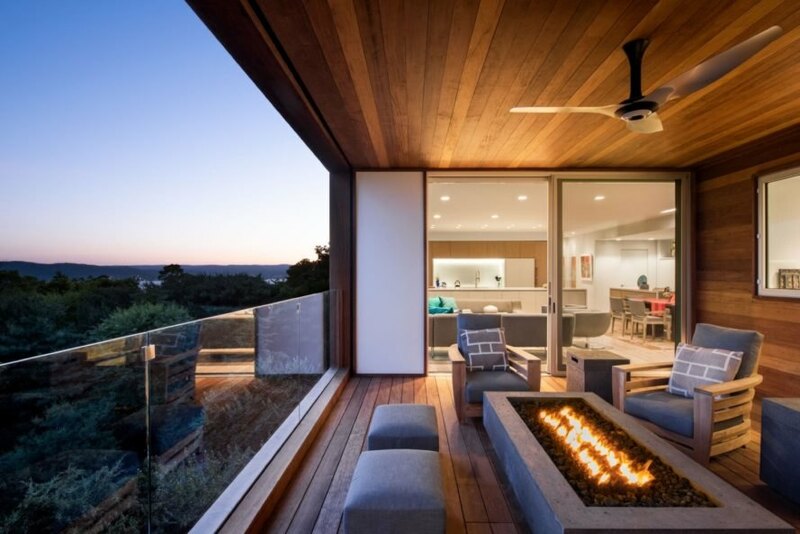 The terrace serves as the heart of the home. The house comprises two floors and a basement. Solar panels along the roof power the home.